Numerous annual races serve as fundraisers for local charities and organizations. One of the largest of these, Briggs & Al’s Run & Walk for Children’s Hospital of Wisconsin, has raised over $14 million since its first running in 1977. The Milwaukee County Zoo’s Samson Stomp & Romp was first run in 1981; its proceeds benefit the Zoo’s animal collection, with an emphasis on the relatives of Samson, the iconic gorilla who died in 1981. 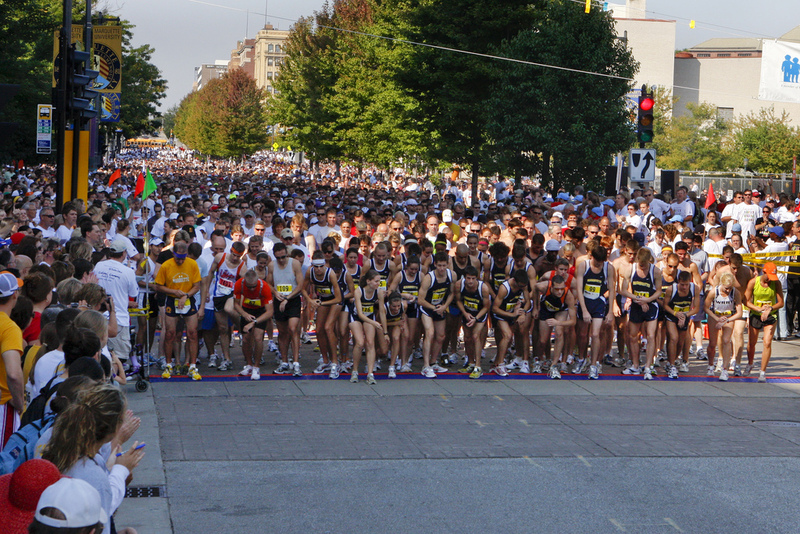 The Milwaukee Lakefront Marathon, which also began in 1981, is sponsored by the Badgerland Striders, Wisconsin’s largest running organization. The Marathon does not serve as a fundraiser, but does serve as the Wisconsin Marathon Championship and provides qualification for the Boston Marathon. ^ “History,” Briggs & Al’s Run & Walk for Children’s Hospital, Events. http://events.chw.org/site/TR/Events/General?pg=informational&fr_id=1040&type=fr_informational&sid=1031#.UP5gMI79ta8, last accessed 2013. ^ “2013 Begins With A Stomp!” Events, Milwaukee County Zoo, last accessed 2013. ^ “FAQs,” Pre Race, Milwaukee Lakefront Marathon. http://www.milwaukeelakefrontmarathon.org/LakefrontMarathon/PDFs/FAQ_2012.pdf, last accessed 2013. The information about the Lakefront Marathon’s status as a qualifying race for the Boston Marathon is now available at http://www.milwaukeelakefrontmarathon.org/faq/, last accessed May 1, 2017.